Randall Bouverie was a full time model for 62 Models and part-time screen printer for local brands in New Zealand before he started Bouverie & Co. Seeing a lack in the market for simplicity Bouverie decided to create a casual t-shirt that could also be worn out to events. To achieve this garments are sourced locally and screen printed in-house. 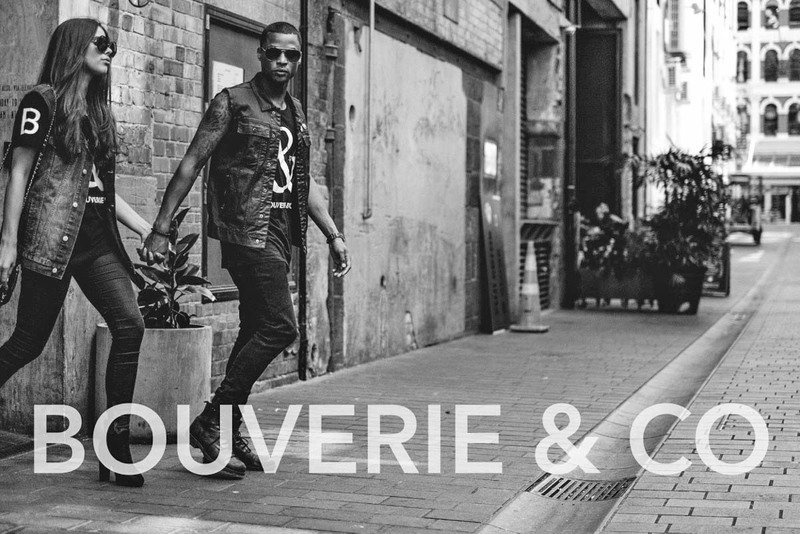 Since inception, Bouverie & Co keeps lines simple and colours basic to catch the attention of a wider market. Still interested in campaigns, Bouverie believes the whole feeling of the brand should be portrayed through the photography each time a new season comes out.